If you are just starting to dip your toe into the world of tennis, you may not be aware that your tennis racket can dictate how you compete on the court. Not all rackets are created equally, and many rackets are designed to accommodate a specialized style of play. From grip width to racket size, there are a variety of characteristics worth taking into account before purchasing your first tennis racket. As such, we have compiled a list of some of the top tennis rackets currently available to tennis players. Tennis rackets can be costly, which is why it is important to know exactly what you want to get out of a tennis racket before making a purchasing decision. As Granite Bay’s top tennis academy, Gorin Tennis Academy is staffed by highly knowledgeable tennis professionals who are devoted to helping you reach higher levels of competition. We are a Global Professional Tennis Coach Association member, meaning that we work with a consortium of tennis experts who collaborate on best practices to teach tennis players proven techniques to develop their skill sets. To learn more about which kind of tennis racket is right for your style of play, continue reading more below. Designed for the most advanced players, the Babolat Pure Aero has been used by tennis elites such as Rafael Nadal. According to Babolat, the racket’s widened string crosses allow tennis players to achieve a greater level of spin when returning shots. This results in a greater amount of topspin meaning that you will be able to effectively keep your opponent on their toes throughout the duration of your tennis match. However, with a price tag over $200, the Babolat Pure Aero should be a racket purchased by tennis players who are familiar with their own style of play. 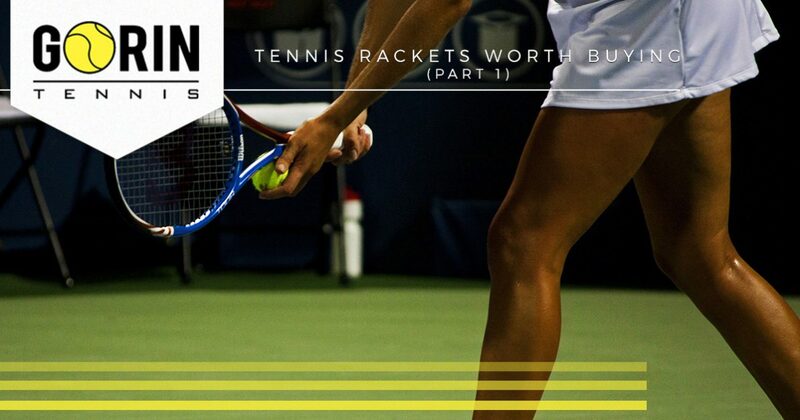 A lighter racket than the Babolat Pure Aero, the NT R 4.0 is a great tennis racket for beginners who aren’t looking to spend an arm and a leg to enter the sport. Dunlop’s NT R 4.0 features AeroskinCX technology, offering an improved level of aerodynamics for greater racket speed and power. The NT R 4.0 can be found for around $100, making this a great entry-level racket that newcomers will enjoy. Redesigned for the most prestigious tennis tournament known, the Babolat Pure Drive Wimbledon offers the perfect blend of both power and control. Used by elite tennis players like Andy Roddick, the Babolat Pure Drive Wimbledon provides the most in precision without sacrificing ball speed. However, this racket is not intended for beginners, as it can be purchased for around $200. The three tennis rackets listed above are all exceptional brands worth looking into. In part two of our series on choosing a tennis racket to fit your play style, we will look at 3 more tennis rackets that are intended to work across a broad spectrum of styles of play and court types. If you are interested in receiving tennis lessons from qualified professionals, contact the experts at Gorin Tennis Academy of Granite Bay today!